We believe a strong and loving community is built on a foundation of treating others the way we want to be treated. Scholars are polite to others, recognize what others do for us and show appreciation for opportunities, remain calm in challenging and emotional situations, are able to find solutions during conflict with others, and show that we care about their feelings. We believe the time is always right to do what is right. 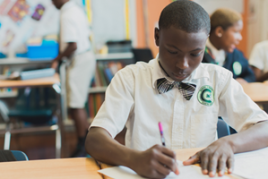 Scholars come to class prepared, remember and follow directions, get to work right away, pay attention or work for a sustained amount of time and resist distractions. We believe hard work gives us the power to determine who we will become. Scholars believe that effort will improve their future. When failure happens we think about ways to make it better next time and get back to work, stay committed to goals, and work hard until the finish. 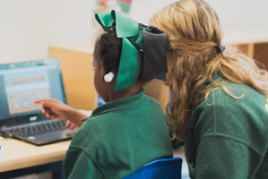 We believe a focus on achievement will take us to and through college. 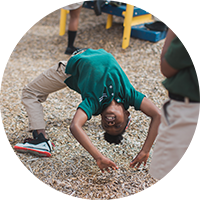 Scholars actively participate, are eager to explore new things, take an active interest in learning, and approach new situations with excitement and energy! 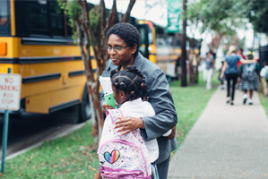 ESYNOLA is a FirstLine Schools signature program that changes the way children eat, learn, and live. 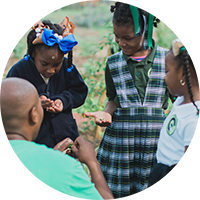 Green features ESYNOLA’s largest edible garden at one-third of an acre, along with a state-of-the-art teaching kitchen, where students engage in gardening and culinary classes. Green once again took home the flag football championship title in 2014. This marks the fourth time in the past five years. 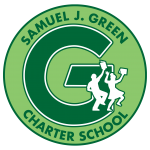 A founding member of the New Orleans Charter School Athletics Association, Green also offers soccer, baseball, softball, and basketball. 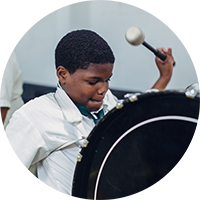 Our enrichment activities include visual arts, dance, yoga, karate, band, Lego League, an entrepreneurs club, photography club, and more! 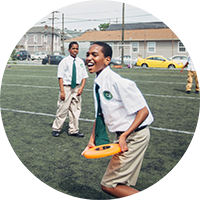 Middle School scholars take part in end-of-the-year visits focusing on team building, exposure to new and exciting activities, and above all else, FUN! 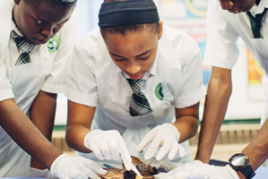 These trips are capped off by our 8th grade visit to Atlanta, where scholars visit attractions including the Civil Rights Museum in Birmingham, the Atlanta Aquarium, the Coca-Cola Factory, and universities such as Spelman, Morehouse, and Georgia State.